Online learning has never been more exciting than it is now. 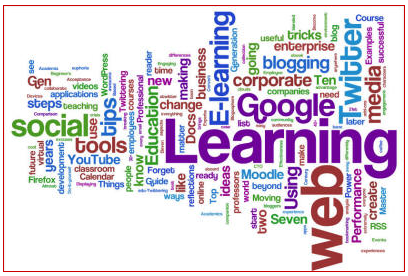 There are so many wonderful free resources out there for online learning but there are 2 specific resources that I have tried out in the last three months that I would like to talk about which I think are really amazing. The first one is Venture Lab and the other is The Khan Academy. I spoke about The Khan Academy a long time ago in this post. But a lot has changed since then. They have applied the concepts of gamification to it along with a learning path. This gives a logical path for the student to watch the videos and do the exercises and as you do the exercises and watch the videos you earn leaves and badges that keeps you motivated to continue learning. I was listening to a podcast where they were talking about how this is changing the teaching paradigms in many schools where what used to be homework is now done in the class and what used to be taught in classes is now being given as homework. How is this accomplished? The students are given the videos to watch at home as homework and all the exercises that used to be done at home is now done in the class where the teachers and the students help each other in doing the exercises, thus making the class more hands-on and engaging where the concepts that are learned in the video are applied. The Venture Lab consists of courses that are taught in Stanford. It is a gamified learning environment where there are learning videos and exercises. What is more exciting here is that one needs to form teams with other individuals from around the world. I just completed a course on Technology Entrepreneurship and I met some wonderful people from around the world in order to do my assignments. They bring a different perspective to the whole learning environment. With all the videos on You Tube, the question/answer forums such as Stack Overflow and just the power of Google and Bing Search to filter information to programmers there are very few problems out there that do not have a solution online. Learning and being able to apply concepts is so much easier now than it has ever been in the past and one should only have the perseverance to continue learning and applying those concepts in what they do to really flourish in their careers. Kids should be introduced to Khan Academy and encouraged to use that as a learning environment and adults should do courses on The Venture Lab and Coursera. If you know of other sites that offer online courses, share this information in the comments section below. I would also like to connect with others who are taking courses on these sites so let me know if you are taking any of the courses and what was your experience.